Over 55 percent of businesses fear their technology is holding them back. Does your business fall into this category? Embracing a digital ecosystem for your business can increase productivity, streamline your processes, and create a competitive advantage for your company. New technology is being deployed rapidly, and the companies that don’t keep up with the ever-evolving world of tech will fail to exist in the years to come. 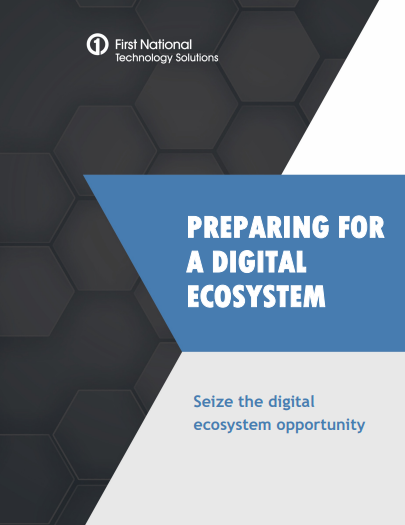 Don’t let technological advancements get in the way of your company’s success; download our whitepaper today to learn how to adopt a digital ecosystem. Simply fill out the form on this page and get the whitepaper delivered to your inbox.